Influential businessmen are being slaughtered across London; each victim is given a local anaesthetic before witnessing his own body being cut to pieces. The decapitated head is then stuck on a pole as warning that revenge is being reaped. But revenge for what? And who will be next? DCI Jairus is put in charge of the case; a resourceful detective, living with guilt after killing a suspect in self-defence. He soon discovers the murders are being committed by a sadistic psychopath and a delusional and violent ex-con, but Jairus himself hides a dark secret in his lock-up, something no one can learn the truth about. The troubled DCI finds himself drawn into a world of satanic rituals, secret societies and deadly revenge. And as Jairus investigates, his gut tells him that someone else is orchestrating the murders. Mark does grisly well, he also weaves a canny plot. 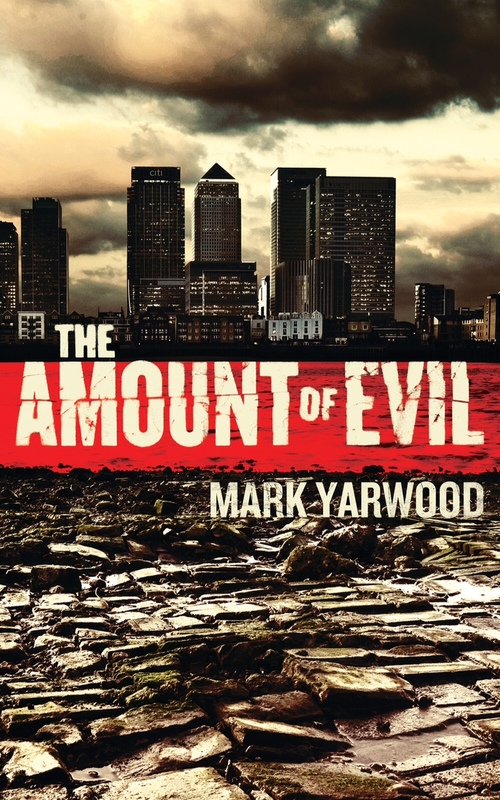 The Amount of Evil – coming soon!